[패턴영어] A is famous for B. A is famous for B. 이순신 제독은 그가 만든 거북선으로 유명하지. Admiral Lee is famous for his turtle ships. 모네는 그가 그린 수련그림으로 유명해. Monet is famous for his paintings of water lilies. Hollywood is famous for movies. Las Vegas is famous for casinos. Einstein is famous for his genius. 이 식당은 고기 요리로 유명해. This restaurant is famous for its meat dishes. Iron is famous for its strength. NASA is famous for space exploration. 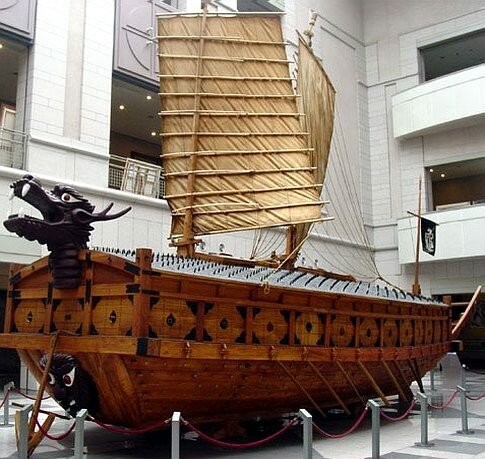 A: Admiral Lee is famous for his turtle ships. B: He was a great strategist. A: Einstein is famous for his genius. B: He also had pretty funky hair. A: This restaurant is famous for meat dishes. B: Let’s check it out! It is famous for its dishes.